The Honor 7S is a budget entry-level smartphone with Android Oreo and dual SIM support. The hardware configuration leads one to believe that the smartphone is likely to be fairly slow. To find out if this is true, read on. The Honor 7s comes out as just another budget smartphone with nothing really special about it. The taller display is surely one of those things that are trickling down to the entry-level segment, but the inadequate memory and storage is an instant deal-breaker. OEMs should realise that running a full-fledged version of Android (that too with a customised skin on top) with 2GB RAM and 16GB storage isn’t a pleasurable experience. Perhaps if this was powered by Google’s Android Oreo (Go Edition), the experience wouldn’t have been so sluggish. Either way, it would be difficult to recommend this phone to anyone. Instead, I’d suggest to spend a bit more and get the Honor 7A or the Xiaomi Redmi 6 Pro. Honor has tried to deliver a low-cost phone with attractive features, and while it does look quite good, we found actual usage to be frustrating on multiple levels. Even some of last year's phones at this price level deliver better features and performance. Buyers are likely to be turned off by the lack of a fingerprint sensor and the weak specifications before they even get their hands on this phone. Camera quality was particularly disappointing, and many people specifically look for phones that support 4G on both SIMs. 60% Honor 7S review: A budget smartphone yes, but how does it perform? Honor 7S comes with a neat design, solid build quality and feels good for its price. In case you prefer a handset with good design, bright and nice display, Honor 7S can be an ideal pick. Even though the phone packs a single rear camera module it performs well in most situations. Further, you get a front-facing camera with LED flash support which is hard to find in this price range. It even bundles decent battery backup that promises a day’s worth of usage. Overall, Honor 7S offers a decent pack of features for a budget smartphone. It directly competes with Xiaomi Redmi 5A which also comes with similar configurations. The Huawei development team has obviously been hard at work of late as can be seen by the release of the company’s Honor 7S model. The Honor 7s has a great look to it, far beyond its super-low price tag. But good looks, a nice display, and a somewhat decent camera cannot save this phone from its biggest flaw. It's slow, slow, slow. We should note that the phone is not currently available in the US. However, if you are in Europe you can grab it for €119 in select countries. 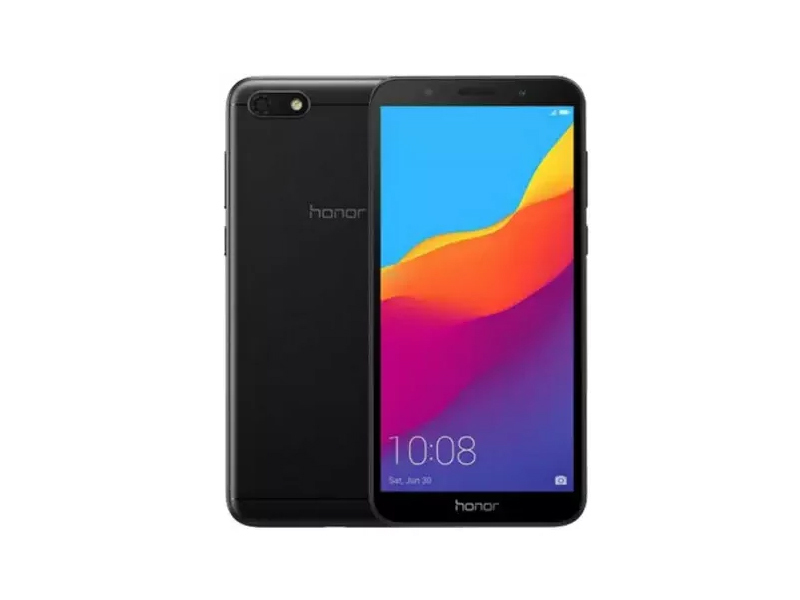 At this point, we don’t know whether Honor has any plans of launching the handset in the States. So for the time being, customers in the country who are looking for a budget phone can opt for the Honor 7X, which offers improved specs at a slightly higher price point. So that’s it for our Honor 7S review. If it weren’t for the poor performance, I could suggest this as a gift for your Grandma or someone else who doesn’t need any high-end features. As it is, I wouldn’t wish this on your Grandma. A cheap phone that runs like an even cheaper one. One to avoid. The latest Honor phone though, the 7S, is truly a phone for those on a tight budget. It'll sell for just £99 in the UK, where it's now available. Though there's no word on an Australian or US release, that price roughly translates to $129 and AU$175. 61.78%: Such a bad rating is rare. There exist hardly any notebooks, which are rated worse.